The Preamble: We the People of the United States, in Order to form a more perfect Union, establish Justice, insure domestic Tranquility, provide for the common defence, promote the general Welfare, and secure the Blessings of Liberty to ourselves and our Posterity, do ordain and establish this Constitution for the United States of America. I’m embarrassed to admit it has been years since I really thought about those 52 words that shape our nation. This challenge was a joy, because it turned my adult eyes to what my adolescent brain had memorized and let sit idle. As an adult, the phrase a more perfect Union gives me goosebumps. My adolescent brain likely thought it was a snub at Britain’s monarchy. I realize now, though, it’s the critical piece of the Preamble. It is an acknowledgement, I think, that we are not trying to fool ourselves into thinking we can perfect something that involves perfectly imperfect humans. We can, however, strive for better. We have come a long way in 225 years. Persons who were not considered people in that “We the People” of 1787 are now. We amended the heck out of the original document. We survived a civil war, world wars, assassinations, a depression, recessions, and an unceasing political divide. (I urge anyone who thinks we’re divided now to head to the library and read newspapers from the middle to late 19th century.) We struggle during times of heartbreak and disasters. We thrive during times of prosperity and calm. The US Constitution was wisely and broadly written to flex along through it all. Happy Anniversary. 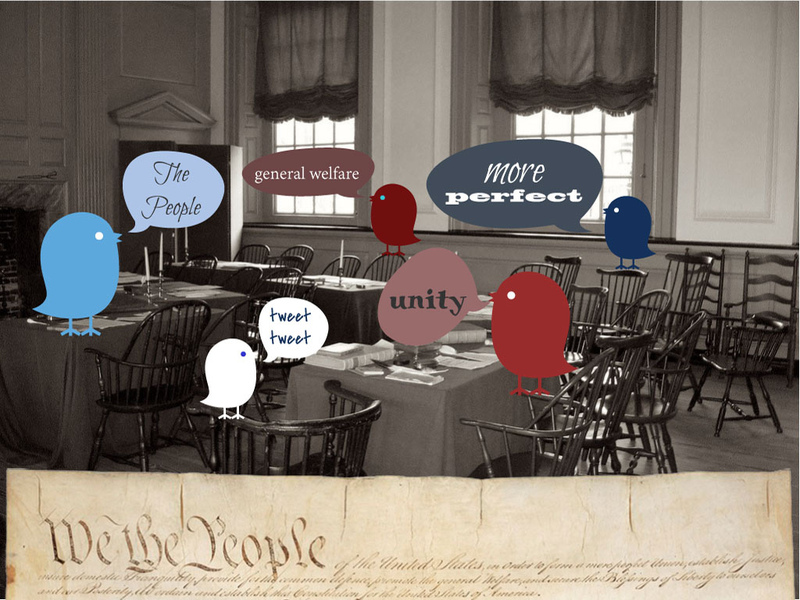 *I created the photo above from a Creative Commons photo of Independence Hall via dolescum on Flickr and also one of the Constitution (page one) via The U.S. National Archives. Thank you, both!